On January 26, 2019, upon the invitation of His Beatitude and Eminence Mar Louis Raphaël I Sako Patriarch of Babylon of the Chaldeans, His Holiness Patriarch Mor Ignatius Aphrem II visited Chaldean Patriarchate Headquarters in Iraq and met His Beatitude. 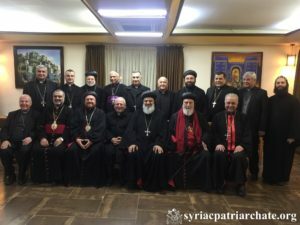 His Holiness was accompanied by their Eminences: Mor Nicodemus Daoud Sharaf, Archbishop of Mosul, Kirkuk, Kurdistan and Environs, Mor Severius Hawa, Archbishop of Baghdad and Basra, Mor Justinos Paulos Safar, Patriarchal Vicar in Zahleh and Bekaa, Mor Timotheos Moussa Al-Shamani, Archbishop of the Archdiocese of Mor Mattai Monastery, and Mor Timotheos Matta Al-Khouri, Patriarchal Vicar for the Patriarchal Archdiocese of Damascus, as well as Very Rev. Raban Joseph Bali, Patriarchal Secretary and Media Office Director, and Very Rev. Fr. Patrick from Barnabas Fund. 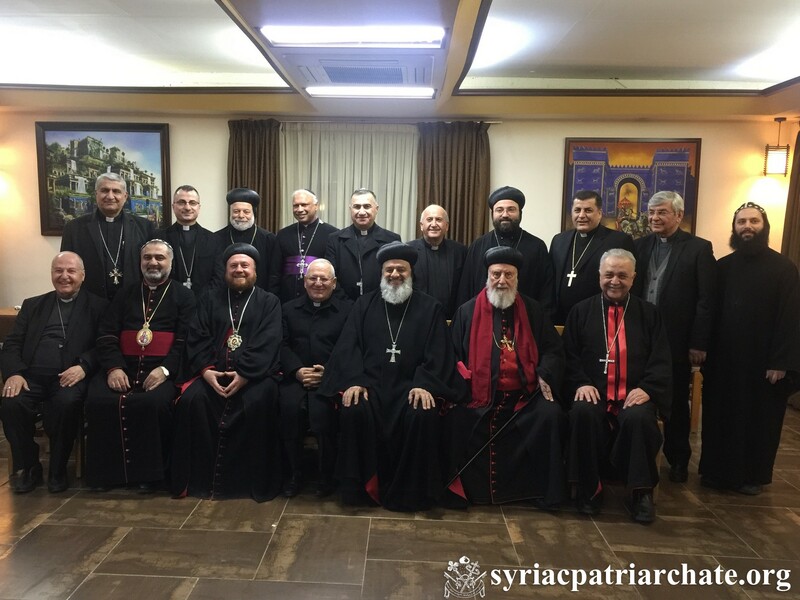 A number of their Excellencies Archbishops of the Chaldean Church, as well as seminarians of St. Peter Chaldean Seminary were also present in the meeting. His Holiness and His Beatitude discussed several general Christian matters. At the end, His Beatitude offered a dinner in honor of His Holiness.